Any fog lights that were factory installed on 1965-68 Mustangs were clear, but amber bulbs have always been a popular addition. We have not had them in amber for years, but now they are back. 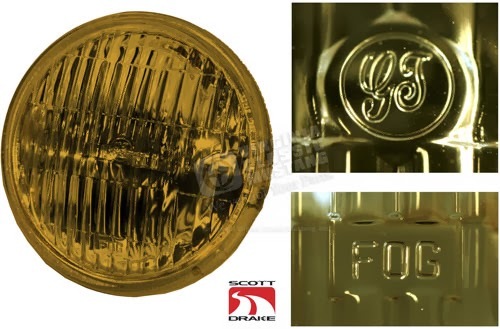 These fog lamp bulbs fit into the bodies exactly like the originals and even feature the correct "FOG" marking on the bottom. There is a unique GT center marking, but this in covered when installed in the body with the chrome bezel. Our part number is ER-571.